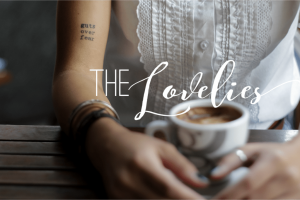 I have a gift for you: seven days of free content to help you know what it means to grieve with hope after miscarriage or any type of heartbreak or loss. 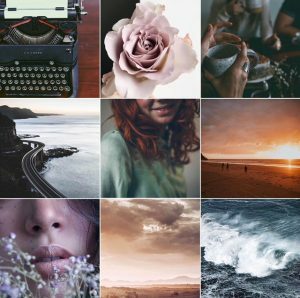 One of the things I’ve found hardest with transitioning to publishing is that my words are no longer free. Please don’t misinterpret this—I think we are worthy of being paid for our hard work and artists and creatives must not apologize for wanting to make a living from their gifts. (And of course, I want people to buy my book and I’d love to bolster our family’s income so I can give even more time to creating valuable content that will serve people.) 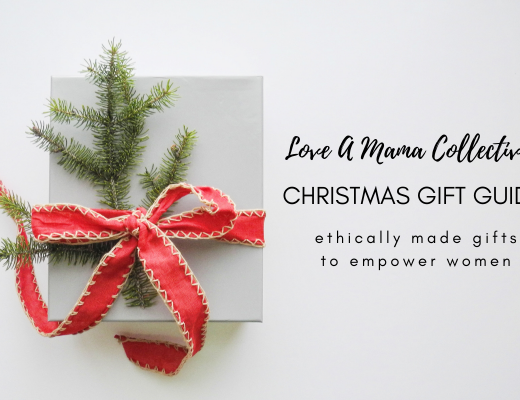 In saying that, because I truly believe my book will HELP people, the desire to simply give it away to anyone who “needs” it is a strong pull. The struggle is real. 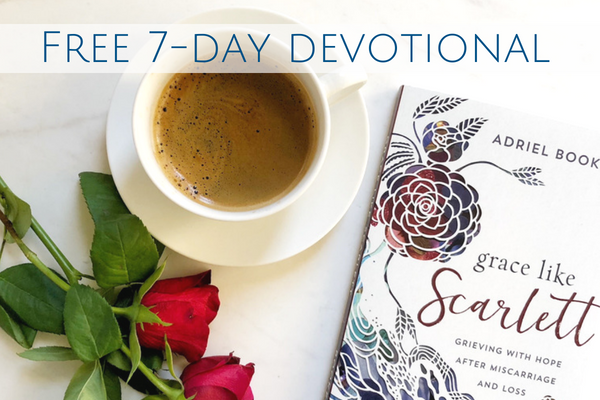 This is one (personal) reason I’m so wildly excited about this free seven-day devotional on YouVersion: Grieving with Hope after Miscarriage and Loss. 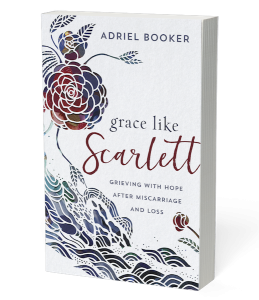 It takes some of the concepts from Grace Like Scarlett and packages them into devotional form for YOU for FREE. 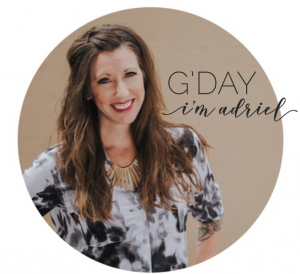 The other, more important reason is this: I wholeheartedly believe this will help you. 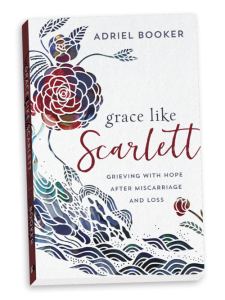 This devotional is an invitation to feel, to wrestle, to be fully awake in your suffering after miscarriage or other loss. 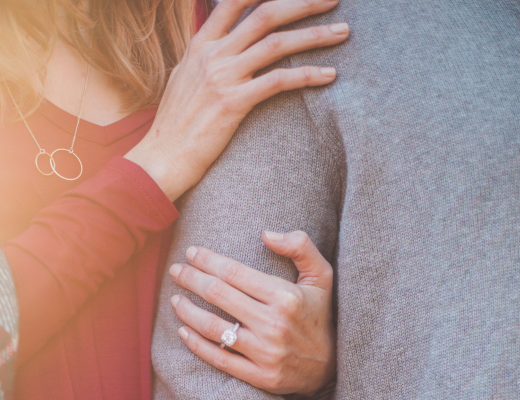 It is also an invitation to be nurtured and understood and to hear from another woman that the pain gets better, even as we long for the day when our tears are wiped away and pain is no more. 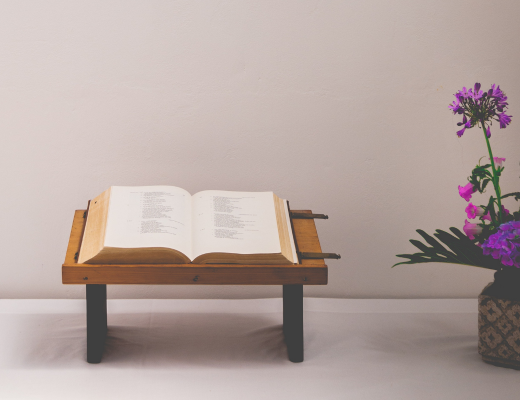 Wherever you are on your journey of grief after losing a baby—or any kind of personal heartache or suffering—I pray these words will be a gateway for God’s grace. Let’s dive deep together. 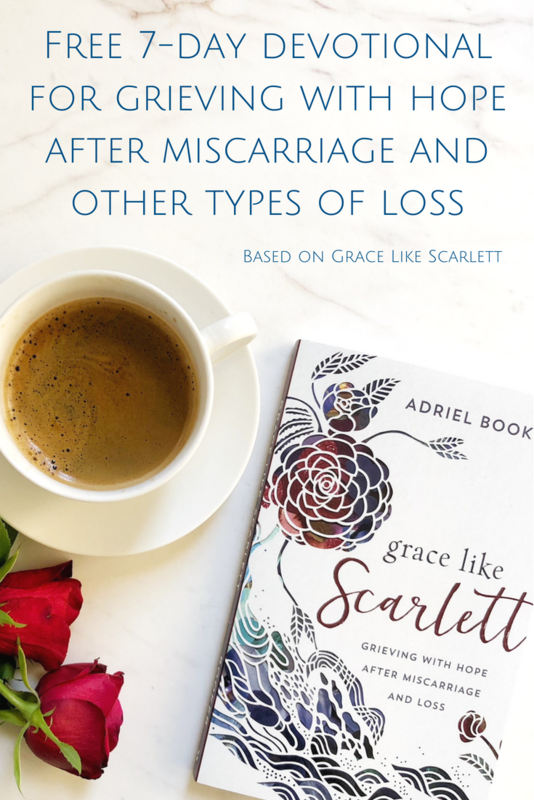 I hope this devotional will become a huge blessing for you if you are grieving the loss of a baby or any kind of loss or grief or heartache. 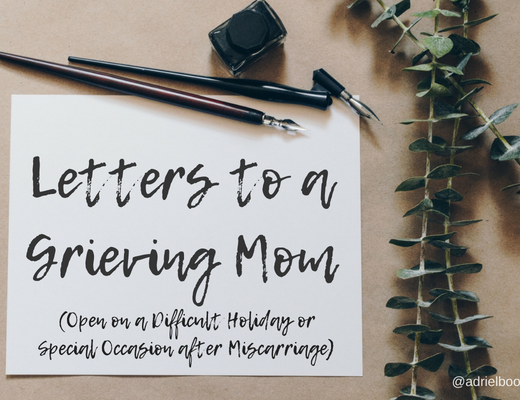 The content I’ve included goes much deeper and wider than the specific pain of pregnancy loss, and yet I also hope women and men grieving this specific—often disenfranchised and confusing—type of pain will get so much out of it and know they are not alone. 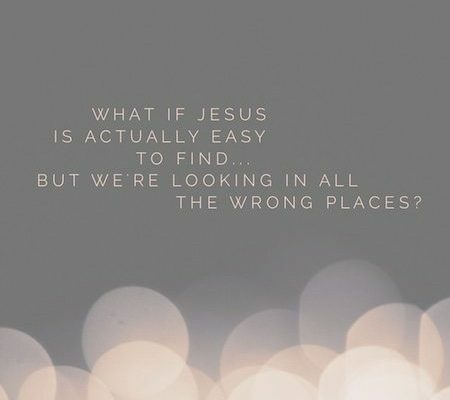 Ultimately it’s all about this: God can be found in our suffering. Even there, he is with us. 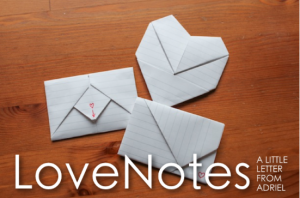 And finally, please consider book-marking this as a resource you can pass on to a friend in need when the time comes. So grateful for the chance to give this to you. READ ALONG HERE by downloading the free app or simply use the browser on your desktop.